John Legend is NBC's Jesus Christ. The Grammy, Oscar and Tony winner will star in "Jesus Christ Superstar Live in Concert!" The live musical production will air Easter Sunday, April 1, from the Marcy Armory in Brooklyn, New York. "I'm thrilled to join the cast of this production of Jesus Christ Superstar Live in Concert!," Legend said in a statement. "It's such a powerful, meaningful musical and I'm humbled to be part of this performance. We've already formed an incredible team, and, as we finish casting, I'm certain we will put together some of the greatest talents around to do this work justice." Anna Kendrick joins Jimmy Fallon and The Roots in the "Tonight Show" music room to perform Darlene Love's holiday classic, "Christmas (Baby Please Come Home)" with classroom instruments. Alice Cooper was previously cast as King Herod. "We're all overjoyed to have world-class musical artist and producer John Legend starring as Jesus," Robert Greenblatt, chairman of NBC Entertainment, said in a statement. "This score demands a singer with an amazing range and an actor with great depth, and there isn't anyone better to bring this story to a new audience. His casting is also groundbreaking as the traditional image of Christ will be seen in a new way." Andrew Lloyd Weber, Tim Rice, Marc Platt, Craig Zeden and Neil Meron will serve as executive producers. Legend, Mike Jackson and Ty Stiklorius are also on board as executive producers. David Leveaux is directing. 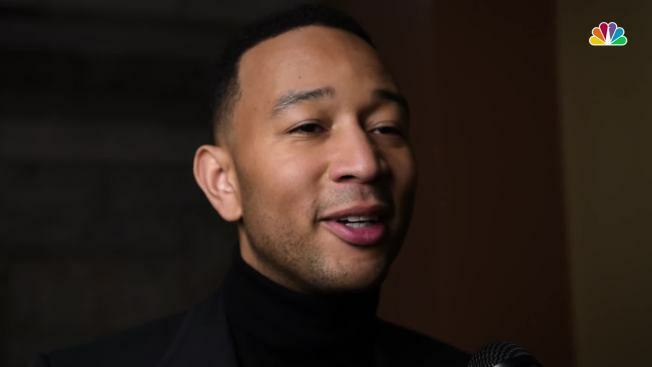 "John Legend is a superstar," Rice, the lyricist of "Jesus Christ Superstar," said in a statement. "As a performer, his voice is infectious and effortless. As an actor, he is believable and honest. I'm thrilled he will be able to share his portrayal of Jesus with the world."